At Barrington Hall we provide motor yacht charters around the world on various luxury yachts. 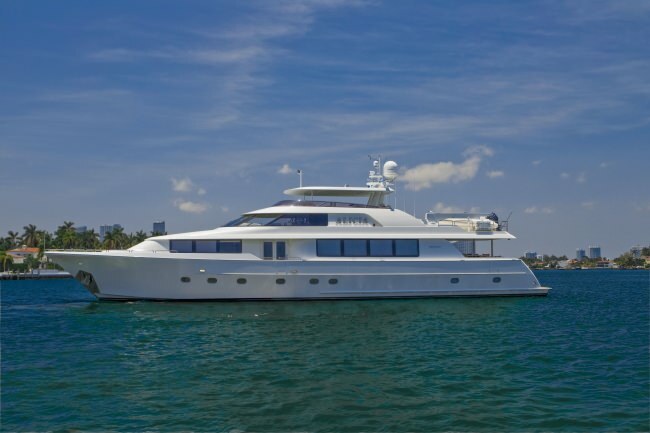 The Motor Yacht listed below, ALICIA, is one of the many motor yachts we offer for charter. Please contact us for up to date information on ALICIA or any other yachts in your desired location. Accommodations: Master Stateroom - Below amidships King Size Bed, Walk-in Cedar closet with digital safe, TV, DVD, player and Speaker Craft CRS speakers, ensuite His and Hers bath with large shower, two vanities and swing out stool.